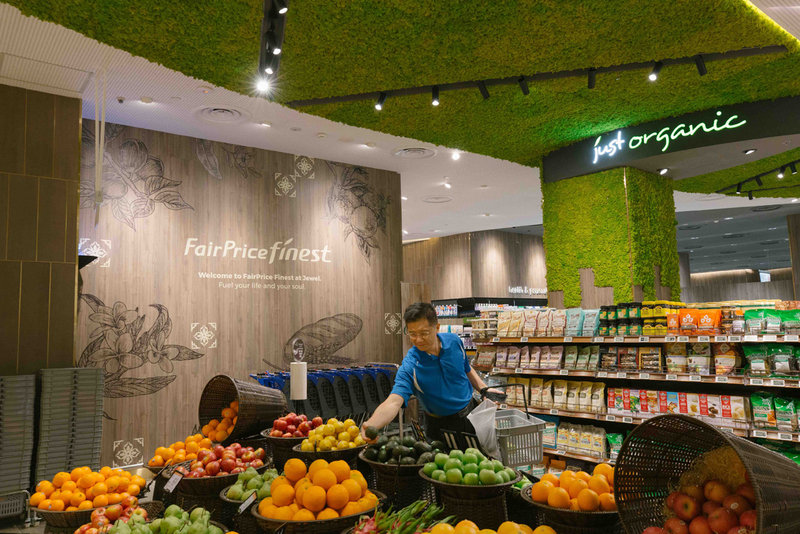 FairPrice, Singapore’s leading grocer and multi-format retailer, has opened its doors at the much anticipated Jewel Changi Airport. 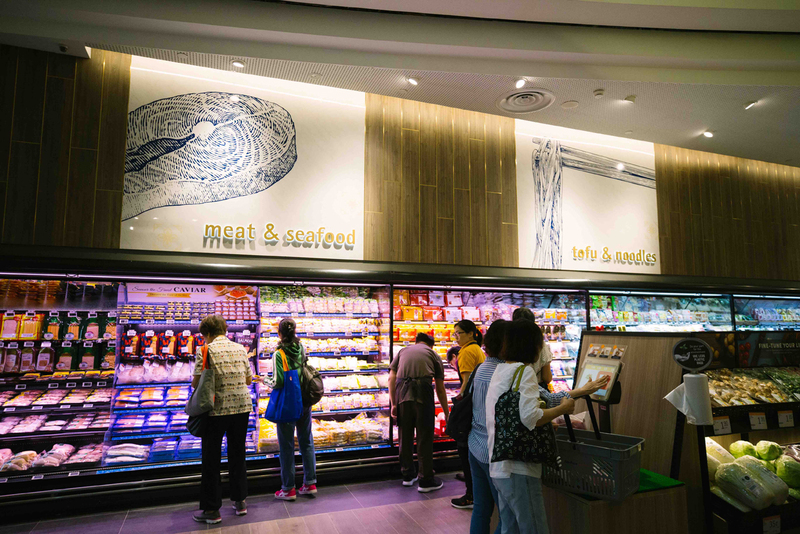 The new FairPrice Finest store offers a wide range of specially selected foods, an elevated yet relatable store experience and personalised customer service. The store provides the best of both worlds – ranging from everyday staples and daily necessities complemented with a cosmopolitan selection of premium and gourmet products sourced from all over the world to cater to both local shoppers and overseas travelers. Superunion, the creative brand agency behind the design of the latest concept, were tasked to create a more experiential and contemporary look to the FairPrice Finest store, rejuvenating their existing positioning of ‘bringing the fine life closer to you’. Large scale Peranakan-style illustrations and floor motifs, with intricate detailed design touches tell a story of a supermarket “with soul” that proudly champions Singaporean heritage. Keen to support local talent, FairPrice commissioned local illustrator Charmaine Tan, a recent graduate of TP’s School of Design and the talent behind menu illustrations for Smokes and Mirrors rooftop bar at the National Gallery, to develop the hand-drawn illustrations in-store.